Thursday, September 24, 2015 6:00 PM Hamilton High School AWAY 98 Northview High School HOME 87 Meet Recap The meet was a hard fought one with many races coming down to the wire. The girls are really improving and we are looking forward to future contests. Wednesday, September 2, 2015 6:00 PM Grandville High School AWAY 126 Northview High School HOME 60 Meet Recap Great meet for the girls! We saw many of the girls swim new events and it gave them a starting point to improve upon for the weeks to come. GO CATS!! 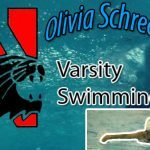 Girls Varsity Swimming · Oct 15 Northview Opens New Pool with a Win!